The enchanting seaside town of Cascais is situated on the Estoril coast in Portugal and is famous for its stunning natural beauty and all year round sunshine. This has long been a popular camping holiday destination and visitors will find an excellent range of luxury camping sites to choose from here. Why Should Visitors Choose a Camping Holiday in Cascais? Those who book a mobile home in Cascais will be able to spend long, sunny days soaking up the sun on the beach and messing about in the water. This part of Portugal also boasts plenty of traditional charm and a whole host of traditional towns and villages are just waiting to be explored. This leading LUX-camp is set right on the sand, making it ideal for guests who want to spend time on the beach. The site also boasts an excellent restaurant that overlooks the ocean, while guests are treated to amenities such as an outdoor swimming pool and table tennis in the games room. 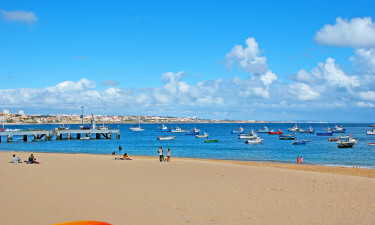 Cascais is famous for its golden sandy beach, which is situated right on the edge of the seaside resort. The water that laps the shore is characterised by strong waves, which makes this a great place to try windsurfing. Visitors will also have easy access to a number of other beautiful beaches that are scattered along the Estoril coast, while the area is also famous for a series of underground caves that are just waiting to be explored by people who have a strong sense of adventure. 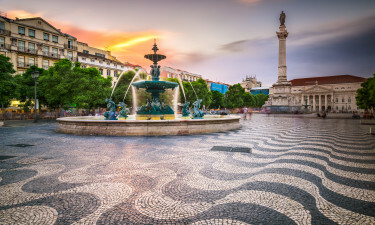 The city of Lisbon is in easy reach for people who book a luxury camping holiday in Cascais and this vibrant city has a lot to offer visitors. 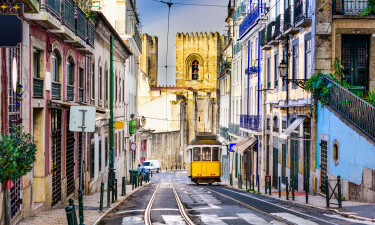 The bright lights of the city can be reached in just 40 minutes by train or car, giving visitors plenty of time to explore famous attractions such as Castelo de São Jorge, Museu do Teatro Romano and Ponte Vasco da Gama, which is the longest bridge in the whole of Europe. Fresh seafood dishes are very popular here and a large selection of cod, sea bass and squid dishes top most menus of the restaurants that line the ocean. 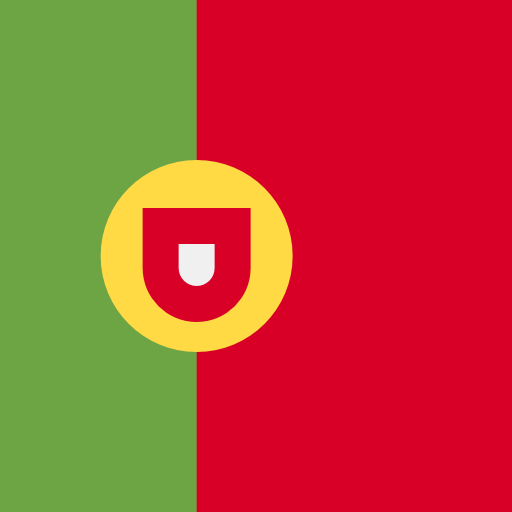 Seafood dishes prepared in the traditional Portuguese style are full of flavour and are worth sampling, while Portuguese sausages and cheeses also make great snacks and picnic items. A glass or two of light and slightly sweet Portuguese wine makes the perfect accompaniment to a meal or simply to enjoy while soaking up the enchanting sight of the ocean.